Buying a home is one of the biggest purchases you’ll ever make in your life, so it’s important to think it through and consider every aspect of home ownership. One of the most important factors to consider is location, and St. Louis has dozens of great neighborhoods to choose from. Sunset Hills is a popular neighborhood for many people. As with any neighborhood, though, it’s important to do your research before looking for homes for sale in Sunset Hills, MO. The average price of houses for sale in Sunset Hills, MO, is about $400,000, according to real estate company Zillow, so it’s definitely one of the more expensive areas to live in St. Louis. But there are also plenty of activities for the whole family in Sunset Hills, including visiting Grant’s Farm, the Powder Valley Conservation Nature Center, or the Laumeier Sculpture Park. There are also several shopping centers, museums, and restaurants in the area that are great for people of all ages. 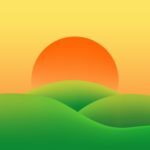 Before you start searching for a home, you also have to look for the best Sunset Hills, MO, real estate agents. The right agent can be the difference between buying the home of your dreams and settling for a not-so-great home (or paying far too much for a house). When searching for Sunset Hills, MO, Realtors, be sure to look for one who knows the area, since a Realtor who is familiar with the local housing market is more likely to get you a better deal on a house. Once you’ve decided that Sunset Hills is the neighborhood for you and you’ve chosen a great agent, it’s finally time to begin searching for your dream home!